YouTube - Jeff Godbold visits Ryan Wolleson to show us some of his awesome emerald tree boas. Facebook - A picture from Ed Marino’s Diamond line of Emerald Tree boas. Outstanding! See the full pic after the jump! 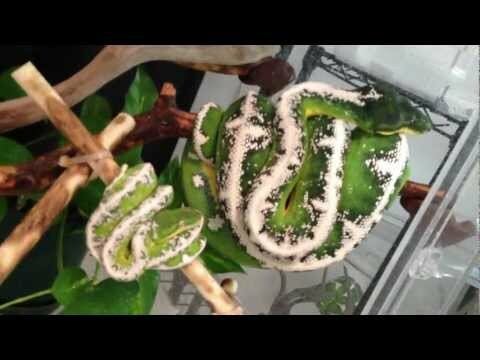 YouTube - Ed Marino from EmeraldTreeBoa.com shares a video look at some of his Blizzard Amazon Basin Emerald Tree boas. Some unbelievable snakes here, probably the best in the world!